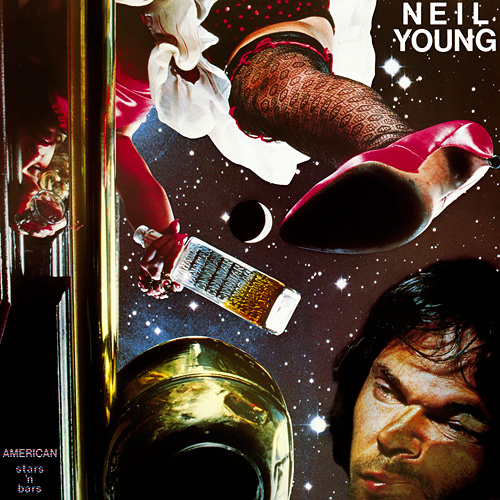 Neil Young has always been an absurdly prolific recording artist. In the 1970’s, he was grinding albums out like sausages. 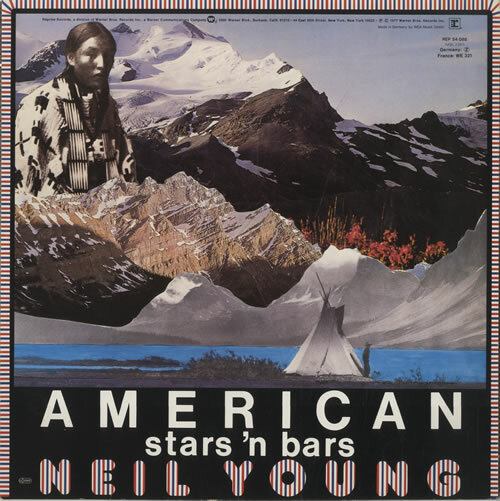 1977’s American Stars ‘n Bars was one of Neil’s stronger efforts from that era. Additionally, it’s got that country rock thing going for it and it uses ‘n in the title. Why I like that, I’ll never know. The package for American Stars ‘n Bars lost a lot in the translation to CD. I’ve got the LP somewhere in a box in a closet and while I *should* being willing to dig it out for my gentle readers, I’m not. Ya dig? To say that the cover is undignified is an understatement. It’s a swell parody of the rock star pomposity that was so prevalent at the time: Henley and Frey come on down. The album art was designed by former child star Dean Stockwell before his 1980’s acting comeback with Blue Velvet, Married To The Mob, and the swell time travel teeevee series, Quantum Leap. The entire album is only available on YouTube in the playlist format, which can be sketchy but what’s a bit of sketchiness among friends?